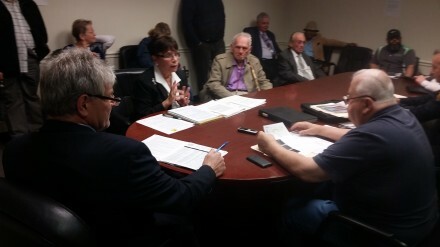 Carmen Lopez’s resolve leads to parking-ticket justice for many. Eager for another shot at the governor’s office, one he thought was his time until derailed by a public corruption conviction in 2003, Mayor Joe Ganim filed exploratory papers for a statewide run. Since Joe Ganim’s return to the mayoralty on December 1, 2015 he has added more than 100 public safety officers, 79 in the Police Department and 36 in the Fire Department. Several OIB readers have asked about the demographic breakdown in the respective departments during that period. Following an OIB request to the city here’s what we’ve learned. Tom McCarthy opted against another City Council run. Jeanette Herron ran and the outcome is before the state Supreme Court. General Lee brought his boots. 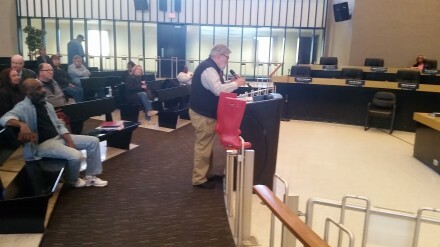 Citizen fiscal watchdog John Marshall Lee was among the taxpayers addressing city counselors at a budget public hearing, and brought with him his symbolic red boots signifying caution about red ink. She ends her letter with “warmest regards” but school board member Maria Pereira made clear in a letter to Mayor Joe Ganim and incumbent city councilors in her district that it will be political Armageddon in the Upper East Side where she serves as Democratic district leader if city schools don’t receive $11.4 million more. Dogged by state finances and poor approval ratings, Democratic Governor Dan Malloy announced he will not seek another four-year term in 2018. This announcement will trigger a series of decisions by would-be candidates for statewide office be it governor or other constitutional positions such as comptroller and lieutenant governor. 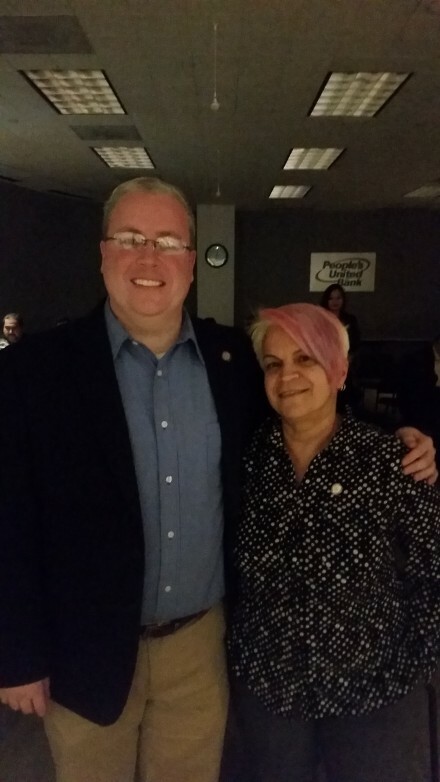 Bridgeport State Senators Marilyn Moore and Ed Gomes assert if there’s going to be a third casino operation in Connecticut it should be managed by the state’s two tribal nations that have selected a site in East Windsor to counter the $1 billion Springfield, Mass. gaming facility owned by MGM Resorts. Mario Testa knows how to raise money. Standing on the concourse of Bridgeport’s closed nostalgic twin gems the Poli and Majestic Theaters that city officials hope a New York architectural developer will resuscitate into a Downtown economic revival, Democratic Town Chair Mario Testa waxed sentimentally about his visits there when he was a young man in a new country. “La dolce vita,” (the sweet life) he said in Italian, holding out his arms, a reference to Federico Fellini’s classic film about a gossip columnist’s hedonistic march through a decadent Rome. Yes, life has been much sweeter for Mario since Joe Ganim’s return to the mayoralty and Mario’s feeling pretty good about helping to raise nearly $200,000 for the mayor’s 2019 reelection, a nod that the septuagenarian can still raise it. Behold Ganim’s campaign finance report here. Who needs a City Council meeting when the real zoo is at Connecticut’s Beardsley Zoo? Check out the new Amur tiger. 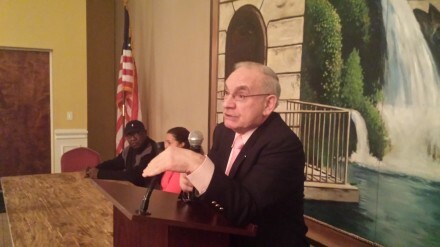 Bridgeport resident David Walker, former U.S. Comptroller General and a 2014 Republican candidate for lieutenant governor, announced on Dennis House’s Face The State that his government and private sector experience make him the strongest potential candidate for governor among the current Republican field for 2018. Superior Court Judge Dale Radcliffe has denied O&G’s motion for reconsideration after the judge ordered the construction services firm to remove a concrete crushing operation and storage facility on Seaview Avenue that had been ruled illegal by the city’s Zoning Enforcement Officer Neil Bonney. City Councilman Anthony Paoletto reports on his Facebook page the passing of Barbara Powell who served on the Democratic Town Committee for decades. Following a recent legal battle win regarding the removal of a concrete crushing operation in the East End, the city has terminated O&G’s services as Construction and Program Manager for school construction projects. Mayor Joe Ganim led a prayer prior to the start of the City Council meeting hoping perhaps for a little manna from heaven as his proposed budget that holds the line on taxes survives anticipated revenues from the state “running a parallel path” during its budget deliberations. 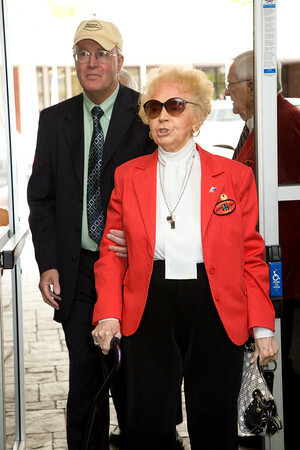 Bridgeport’s rose Betty Pfriem passed away. Elizabeth “Betty” Pfriem, Bridgeport’s philanthropic rose who carried herself with grace whether publisher of the Bridgeport Post-Telegram newspapers, the only female Barnum Festival ringmaster or quiet community generosity for decades, passed away. In the roughly 16 months of Joe Ganim’s return to office, about 230 city hires have taken place, a solid one-third from the ranks of uniformed services as the city struggles to keep pace with attrition from police and fire. See list of mostly full-time city hires since December 1, 2015 here.